DexBuddy is a very ambitious system integration experiment. 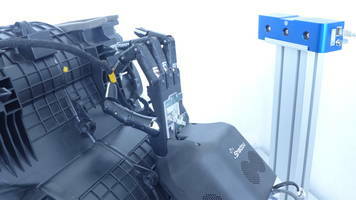 It will develop a feasibility demonstrator of a programmable dexterous robotic co-worker for real industrial scenarios. Cable manipulation tasks and quality control in the manufacturing of automobiles will be chosen as application domain. The experiment goal is to show cost reduction by using a flexible gripping device in combination with advanced intuitive programming. 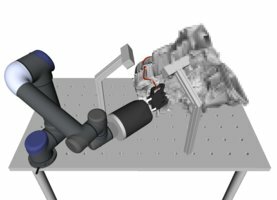 The resulting feasibility demonstrator will show both an innovative hardware prototype – SHADOW’s dexterous hand – and an innovative software product prototype – ArtiMinds’s software suite enabled to integrate dexterous hands. Together with KIT’s vision know-how, integrated by the experts from Loccioni, DexBuddy will create a novel robotic solution for industrial automation based on customer demand. Pushing the flexibility of industrial robots further towards the ability of human workers, DexBuddy will allow for improved coexistence and collaboration of robots and human workers. Automation and skilled manual labour will be more seamlessly combined.